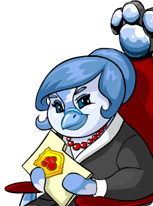 To start on the sixth and last mission of the plot, go to the Petpet Park Mission Headquarters to start. You will see that your sixth mission, Dipni is available. Click on More Information. 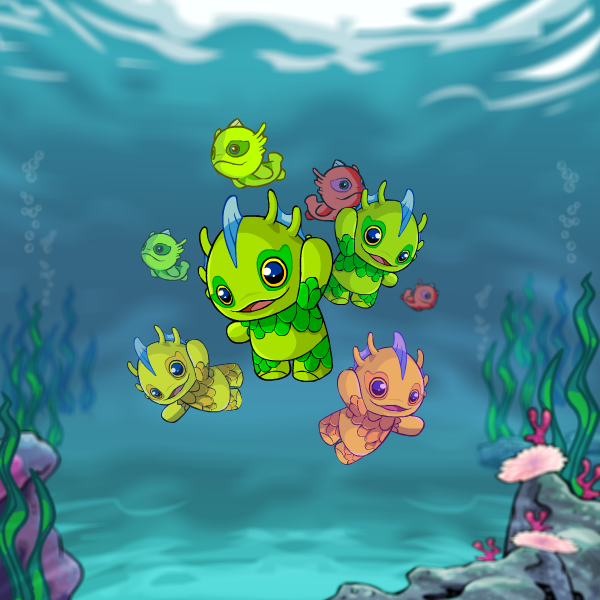 Your assignment is to get the Dipni from the Maraqua to the Petpet Park. Dipnis are timid, wary Petpets that are easily startled. Despite this, they are still affectionate and shyly inquisitive, and they make gurgling noises when they're happy. The nerve of that Yurius! He has ensnared three of my best agents in a Maraquan trap that is slowly filling with water. Give them any assistance they need to get that trap open, and bring those Dipnis safely home! You are stuck in a trap and you have to get out as quickly as possible. The three agents are discussing the weird symbols inside the trap. I'm not sure... but look! The tiles are loose. Maybe we have to rearrange them in some way. It's a puzzle! Each one of the tiles of the puzzle has a number assigned to them. You must ensure that these numbers add up to the black number at the end of each row. In order to do so you can swap around the tiles. If you've created a successfull row the light next to the number will go on. In the table below you can see the value of each tile. The example image shows the end value of the first row needs to be 26. This has been done by using tiles worth 8 + 1 + 9 + 8. Together these make 26, which is why the light is on. There is more to the lights than just being on or off. There is also a partly on position, which it shows if you're close and not far from your target. Light is off, you're not close. Light is partly on, you're close. Light is on. This row is correct! After you've completed the puzzle, you'll have to complete yet another puzzle. We did it! All the crystals are lit up! Wait a second... what's happening? The room is getting brighter! Uh oh... I don't think we're done. Look! The tiles are all different colors. Now what do we do? We'll just have to try something else! Puzzle 2 is about combining colours. It is your goal to create blocks of similar colours. In order to do his you must forget about the rows of puzzle 1. In the image below you can see what a block is. If you've placed all the tiles correctly, the light in the middle of the block will go on. This puzzle is very simple. You should create blocks of red tiles in the bottom right and upper left corners. Blue blocks in the upper right and bottom left corners. Finally, a yellow block in the middle left and a green block in the middle right. This is shown in the picture below. 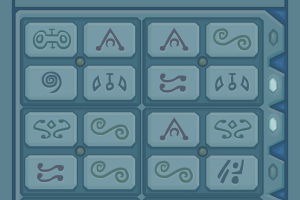 When you're finished with puzzle 2, the Dipnis are free and can be brought to Petpet Park. The lock is released! Let's get out of here! After this you must return to the mission headquarters. You're then done with all six missions. Your reward will be released soon. You've done very well, Agent! Petpet Park will be quite splendid, populated so with all manner of wonderful new Petpets. The PPL, and the whole of Neopia owe you a debt of gratitude. Soon, I'll open the vault and provide you with your reward! Don't forget to update your Mission Counter if you have one.